The new Govt Grants have been announced and we even got great offers! Do you want to get regular email updates? Yes, please send me your regular updates. SunPower Corporation is an American energy company that designs and manufactures crystalline silicon photovoltaic cells, roof tiles and solar panels based on a all-back-contact solar cell invented at Stanford University. The company is owned 66% by Total, Europe’s third largest oil company, and is publicly traded on the NASDAQ as SPWR (formerly SPWRA and SPWRB); it is a component of the Dow Jones Oil and Gas IndexDJUSEN. Most energy from less space: SunPower solar panels deliver more power per panel.Which means you can create more power in smaller spaces, with fewer panels. And, you can position them on the sunniest parts of your roof. Most electricity: Simply put, SunPower panels produce more electricity than conventional panels. They convert more sunlight to electricity, producing more energy per square foot over the first 25 years. Most flexibility: Because solar panels generate more electricity from a smaller area, you can expand energy production simply by using additional roof space to add more panels later. Most peace of mind: More guaranteed power. SunPower offers the best combined power and product warranty over 25 years. And because they’re built on a solid copper foundation, SunPower solar cells deliver unmatched reliability over the lifetime of your solar energy system. Most beautiful: panels are offered in SunPower® Signature™ Black, designed to blend harmoniously into your roof. Built using all-black solar cells and anti-reflective glass to reduce glare, the premium aesthetics can accommodate a variety of architectural styles. Renergy Limited are authorised partners of the SunPower PV modules in Malta. Currently we are offering two models of the SunPower modules. Those being the X-Series 345Wp PV panel and the E-Series 327Wp PV Panel. Both models come with 25 years warranty on products and performance. 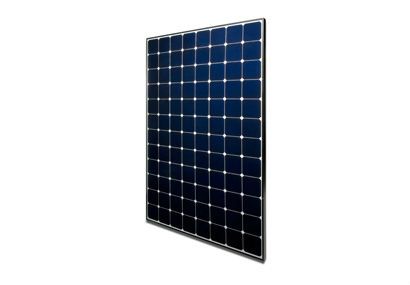 For more information and specifications of the 327Wp PV panel click here. For more information and specifications of the 345Wp PV panel click here. Fill in the requested information and one of our professionals will get back to you. We provide free consultation on all our products and services as well as free site visits.